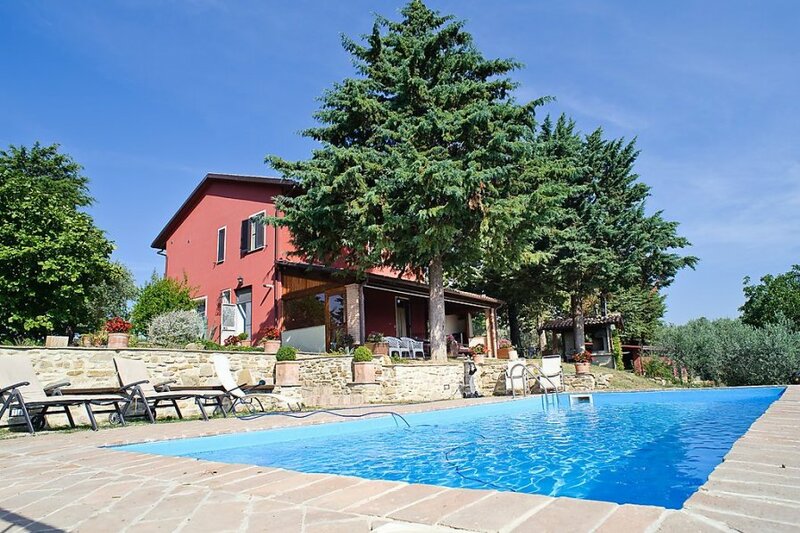 This 5 bedroom villa with private pool is located in Bevagna and sleeps 12 people. It has WiFi, air conditioning and barbeque facilities. The villa is described as good value for money. The villa has a private pool and is located in Bevagna. The nearest airport is only 13km away. It is set in a convenient location, 13km away from the city center.